I've had some fun doing some decorating for Easter and spring lately! Don't you love the new colors of spring? So cheery and fresh! 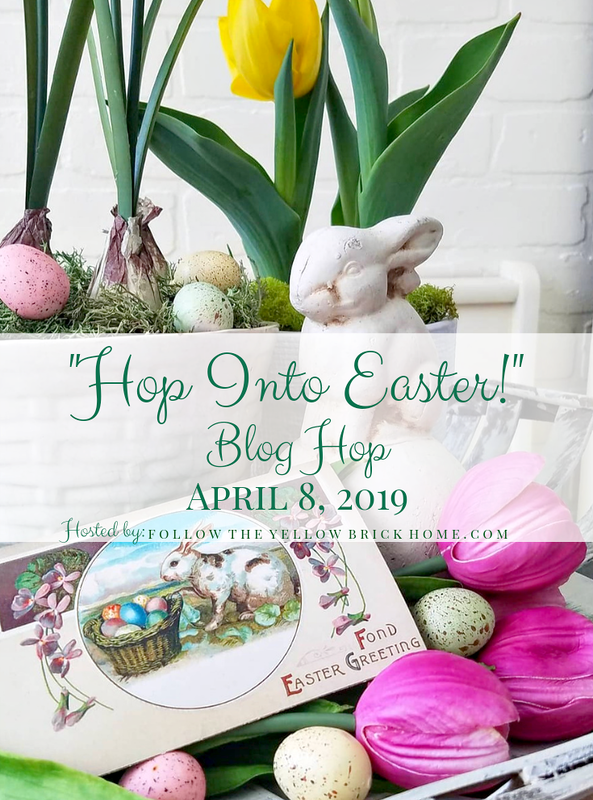 Today I am joining the Hop Into Easter Blog Hop! 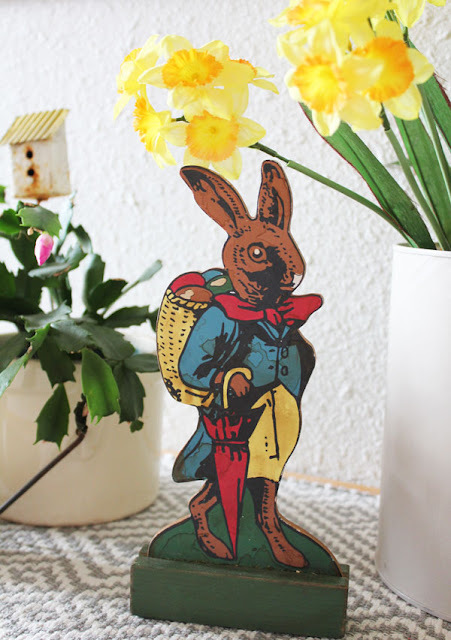 a fun group of bloggers sharing their spring and Easter decor! Thank you, Amber for all you do! If you have just hopped over from Carol's post at Art And Sand, welcome! I am so happy you have stopped by to visit here, too! 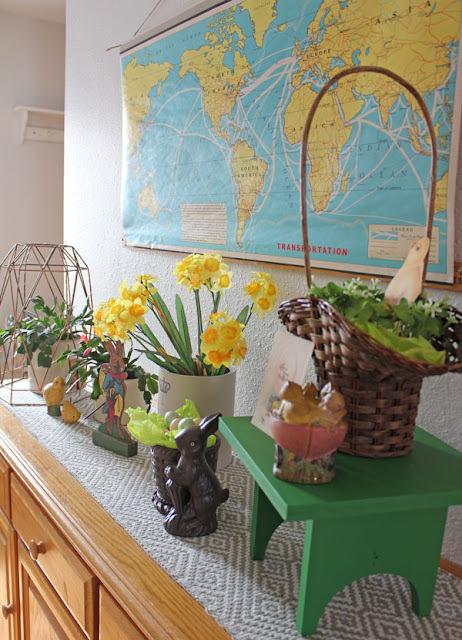 Today I am sharing some Easter and spring decor that I created for a hallway going from the entryway to the kitchen. It is often used, and is a welcoming space! I am loving lots of yellow and green this spring! 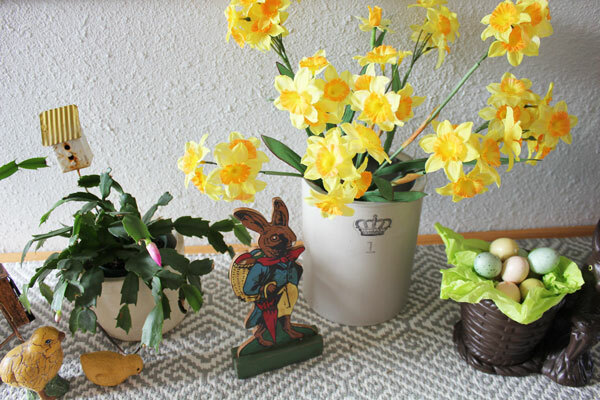 The daffodils were a recent thrift store find, in fact most of what is displayed are thrift store finds, too. The faux crock was made from a cardboard coffee container...painted and stamped. I was inspired by CoCo of The Crowned Goat's wonderful crock inspired paint cans! so much that I let it show. Reminds me of spring lettuce! This little chick is from an old Easter card...sitting in a cozy shamrock nest. Chicks and bunnies are all over this vignette. My Christmas cactuses have begun to bloom again! I hope you enjoyed seeing some of my Easter goodies! 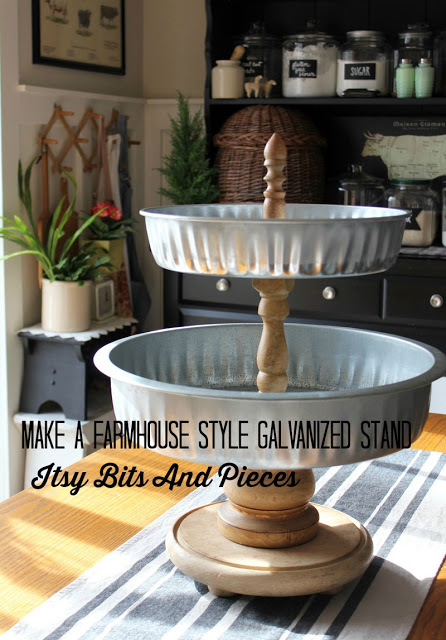 Next stop on the blog hop is Jann at Have A Daily Cup of Mrs. Olson! 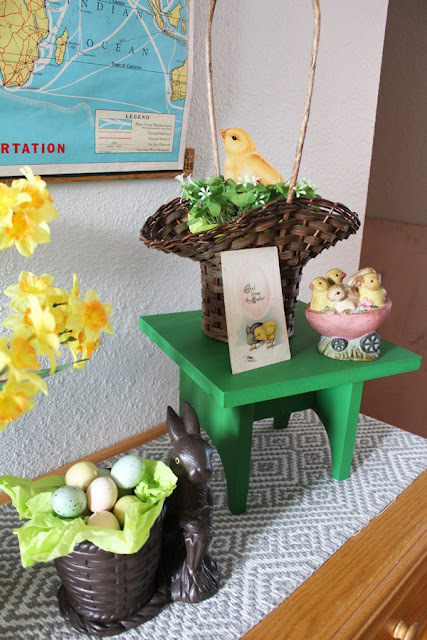 I know you will enjoy seeing the whimsical Easter decor she has put together for you! This is precious. The chicks and bunnies in the wagon is just too cute. Your vintage card is a darling too. I love it, Linda. Linda your touches are pretty and whimsical. I have to agree the green tissue paper does remind me of a lettuce leaf. Thanks so much, Cindy! I do enjoy some whimsy in decorating! Such a gorgeous collection of baby chicks, I love them. I love your chick nestled in the shamrocks, Linda! As always, you shared so many charming vignettes! What a cute Easter table vignette. 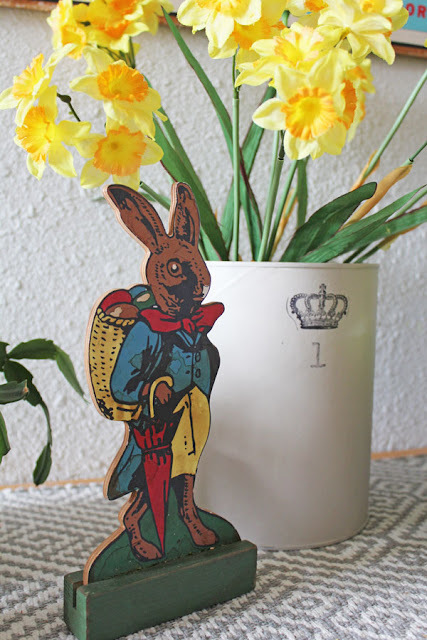 Now I want to go find some old Easter cards! So adorable. Linda, your home is so cute. Love your baby chicks. 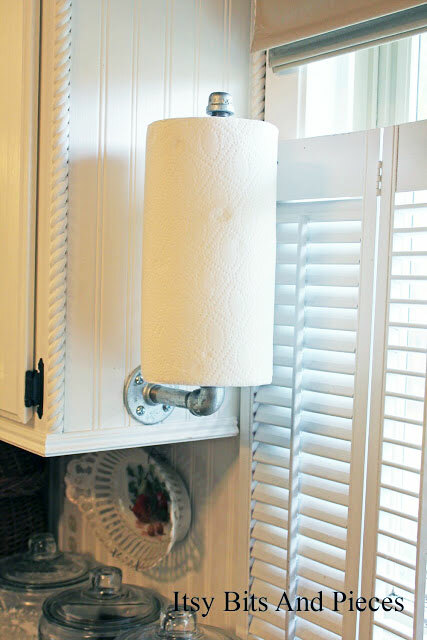 Great idea on the toilet paper. You are so inspiring! 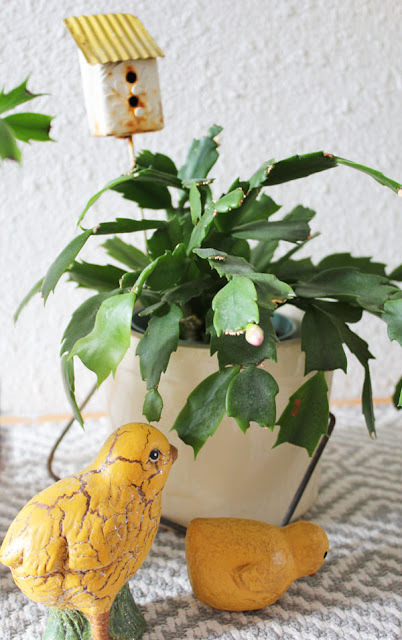 I love all those cute baby chicks - and yes, the tissue paper is a great idea for lettuce! Pretty pieces! Your little display is so sweet. I love the little chick nesting in your shamrock plant! Green tissue paper as lettuce was such a cute idea. You have a wonderful vintage collection and I love how bright and cheerful it looks on your table. I also love the map over the table. Perfect! I just love all of your chicks and bunnies. 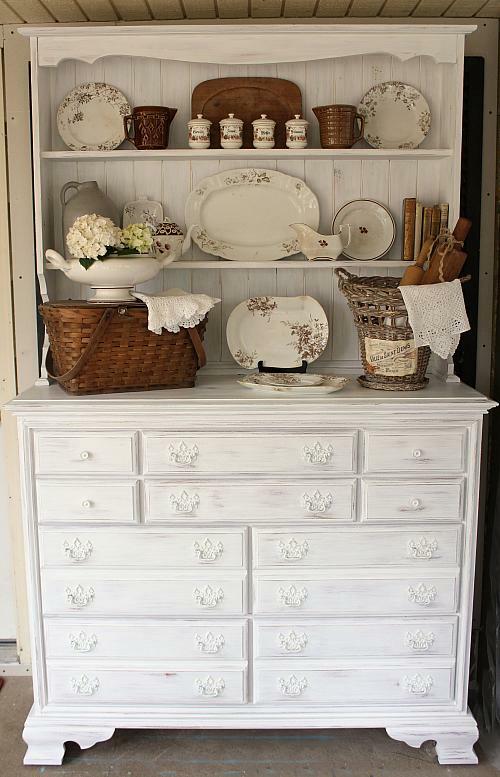 You sure know how to do a beautiful vignette! Love all your vintage Easter Linda. It all looks so pretty for Easter. Have a great new week. I love all of the daffodils!! Such a happy spring flower!! And the bench color is perfect! Love it!!! And, of course all the chicks and bunnies are darling!! 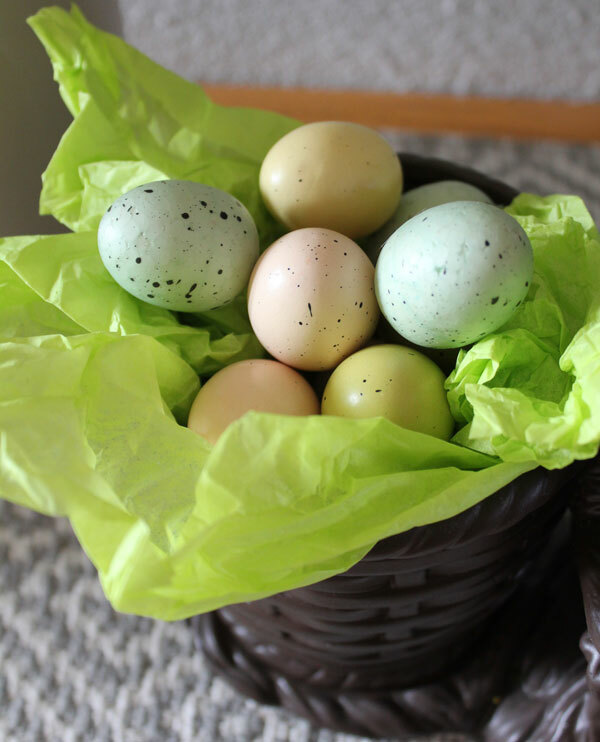 You have so many fun Easter treasures and styled them perfectly. This is a charming display! The green tissue paper really does resemble lettuce and it's a nice contrast to the eggs. I love the chick "nesting" in the Shamrock plant! Linda, a fun and colorful display for spring and Easter. I have a small collection of faux chocolate rabbits and loved your bowl in particular. Thank you, Debbee! 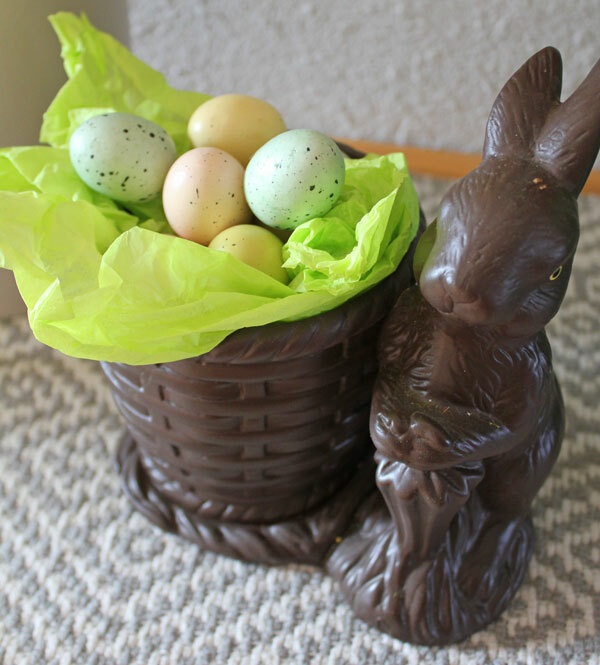 I love the look of those chocolate bunnies, too! Linda, all your yellow daffodils are so pretty. Yes, the green tissue does make you think of lettuce! Love the crock with the crown stamp. (Is it from A Maker's Studio?) all the eggs definitely give your decor an Easter feel. Linda! So many cute vintage things to love. The green painted stool is perfect (you know I love green) and I can't get over your faux crock! I am going to try that idea. 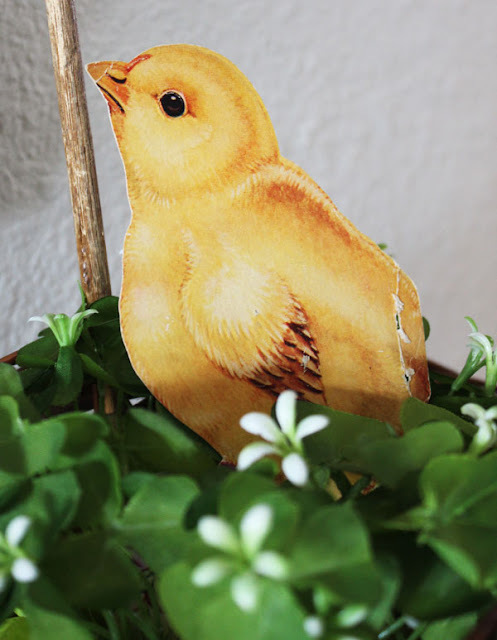 Little chickens are my favorite Easter decor and you have some adorable ones! Love your treasures! Thank you so much for joining the hop. Happy Easter! Linda, I love chicks and bunnies and you have some precious ones. Spring is a favorite time of year for me! 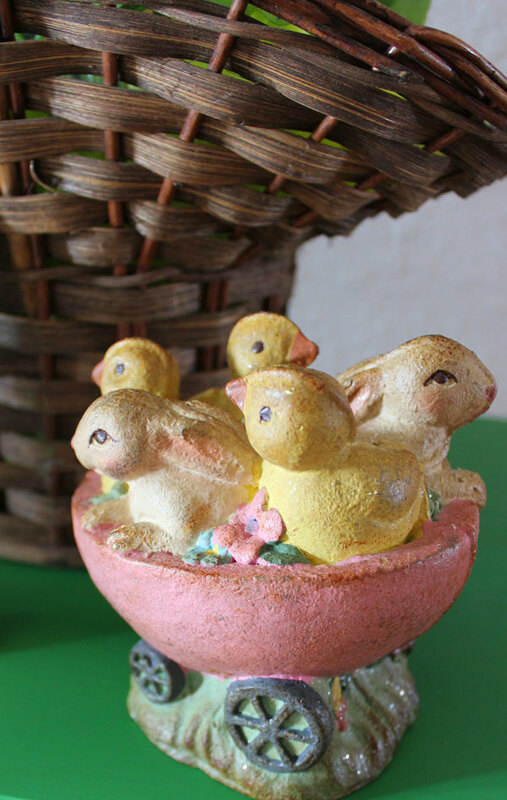 Your vintage chicks and bunnies are so precious, my favorite kind of little Easter goodies. 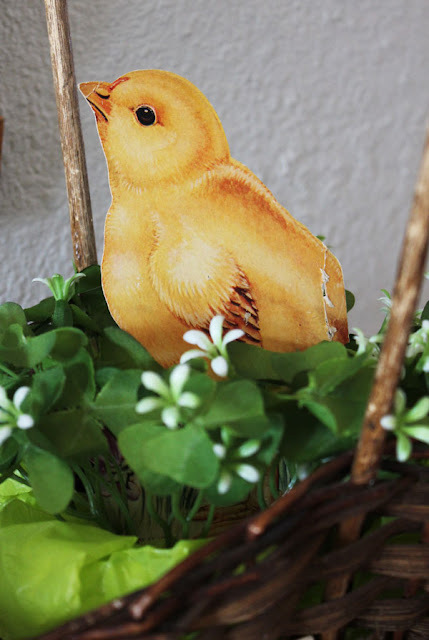 Your paper chick in the nest of shamrocks is just adorable. Happy Easter, Linda! 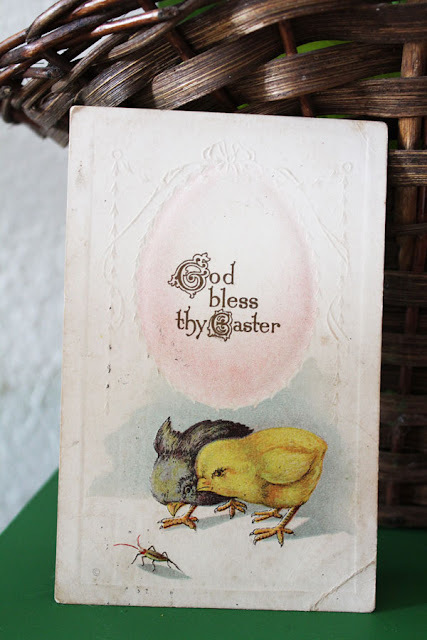 I love your little chicks, and I especially love the way you used the one chick from an old card to set in your shamrocks. 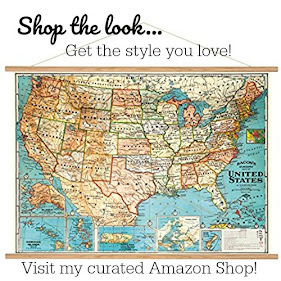 I'm also thrilled to be in this blog hop with you! What fun Easter touches with your chicks, eggs, baskets, and bunnies. Your vignette is too cute! I especially love the daffodils in the crock. I love your sweet Easter display! 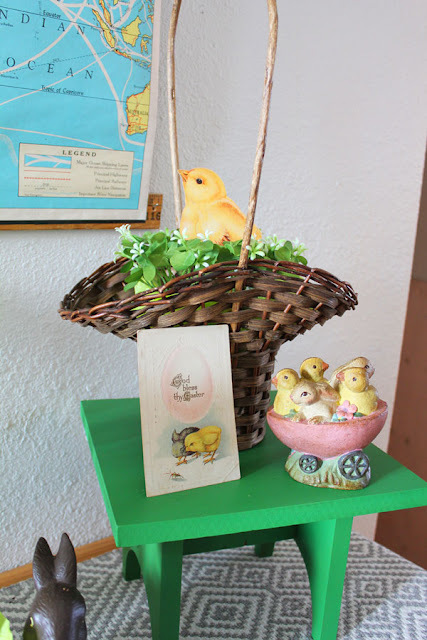 I think my favorite thing was the sweet vintage postcard chic tucked into the basket..absolutely darling! And I would have never known your crock was faux! It looked so real! I love that idea! 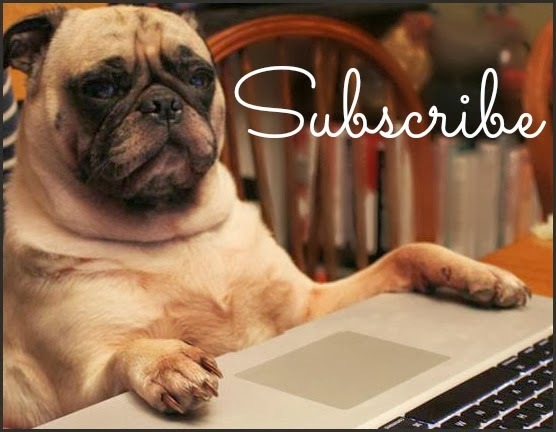 I enjoyed reading your post! 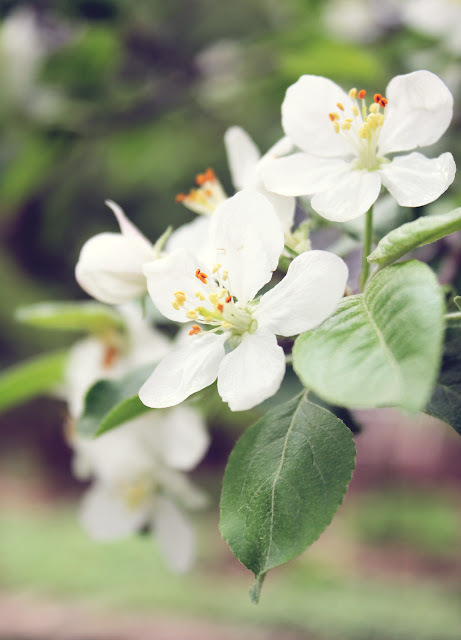 Such sweet ways to welcome spring. I adore the hanging map! !